video; i've only seen the anime but aaa it was great! & miwako! 'Cool'? Is it chilly where you're at? Haha, no, silly~ "Cool" means, like- very impressive, amazing, awesome~ If someone says you're cool, it's a really good thing! A compliment! video; i hope i can read it in the near future! & hahaha, it's a mess! [ and, out of the blue: ] Your hair is very pink. Yes, it is. I dyed it. You've got beautiful eyes, by the way~ I wish I had blue eyes. Brown is so boring. [ dyed it??? ] Like fabrics? You can do that with hair? it is all good, my darlingest darling! [ 'That's right. They're natural. My very own.' he wants to say. and, also: 'Would your George like them, as well, you think?' inb4 a george comes and alois hits on him! he's a little uncomfortable by it, however. a lot, more like. Really...! [ whoa, so giddy suddenly. ] I want to dye mine violet! Or, no. Lilac. Oh, oh! Or, blue like Ciel's eye! Or ... Blue like bluebells! oh god th-this is starting to look like it will happen;;; is that bad? Really~?! That would be super cool! Lilac or blue would both look really good with your eyes~ My friends, George and Isabella- well! This is George! 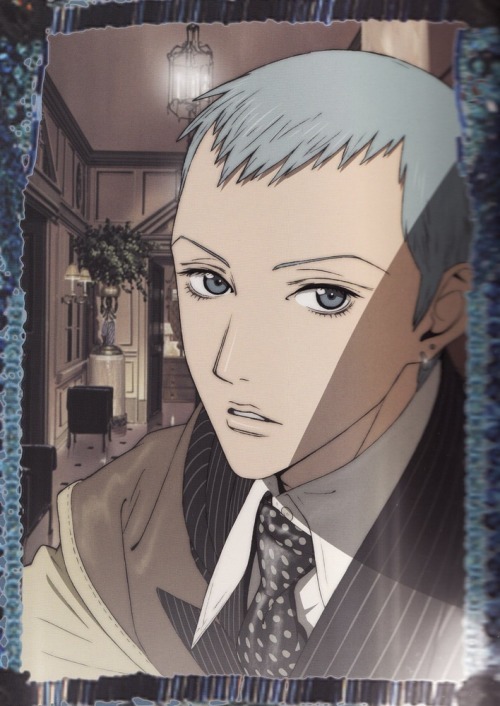 He dyed his hair blue and wears blue contacts, which looks really chic~ But lilac would match really well, too. See? This is Isabella~ Would you want that kind of color, or lighter than that? crying. for the sake of humanity, someone stop them!! [ oh. he can tell. call it ... experience. although, alois looks unmistakeably like a girl when he bothers to dress that way. i'm ... sure miwako will find him trying on skirts before too long! —That's your George? He's really dashing, isn't he? [ the tiniest, heart broken frown. ] Had I a photograph to share of my Claude with you, I would. He's the most handsome, like a fairy tale knight come right off the page. You'd like Claude very much. Oh, that does sound very handsome! I've never seen someone with gold eyes. lmao oh my god he wishes. [ yes. lol, no. :c in his dreams. but, claude is his prince and his knight and the entire universe and everythingeverythingeverything. is that like a boyfriend? sigh, ] he's my butler. He takes very good care of me. He's the best at everything. Do you have a boyfriend, Miss—? Ah. Miwako. 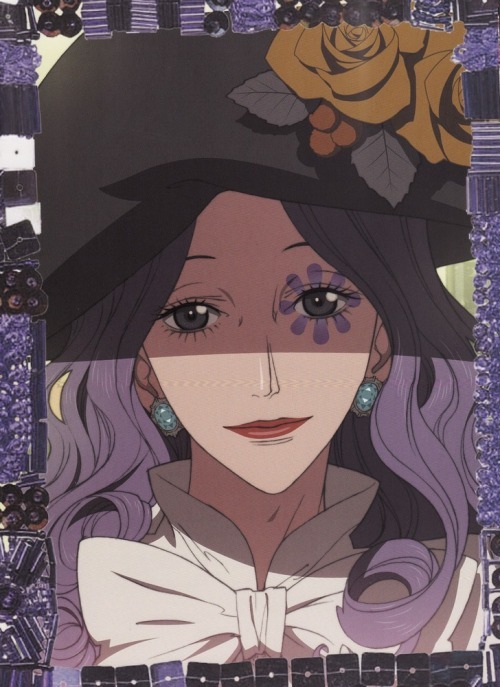 My name is Miwako~ And you're the Earl Alois Trancy of Buckinghamshire. Haha, yup! 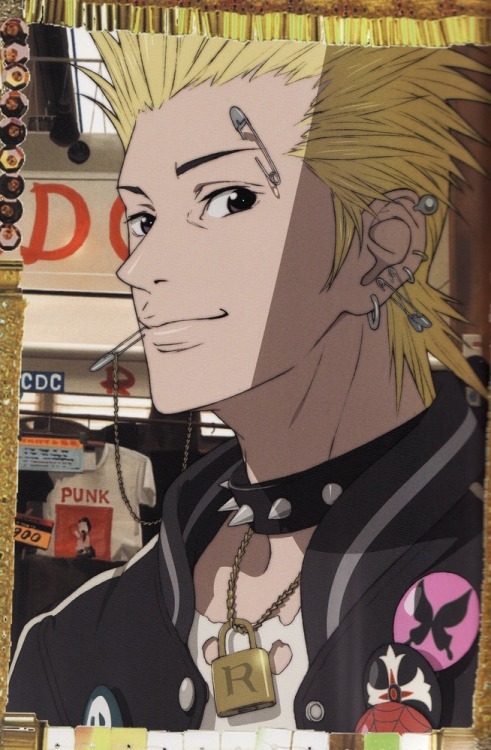 Ara's a super punk~ He's got- twelve piercings, last time I counted? And one tattoo. He looks scary, but he's actually very sweet and responsible~ I always feel safe being with him. ... Saftey pins are for. Well. [ pout. ] They're for fastening clothes. Doesn't it hurt him? Wouldn't it bleed? Of course not! That'd be gross~ No, no... It only hurts a little when you first get it done, like a pinch - and sometimes it bleeds for a couple minutes, but it's really not bad. You keep it in for a few weeks so your skin gets used to having a hole there, and clean it everyday so it doesn't get infected~ Miwako has six piercings. See? Five in my ears, and one in my belly button. I want to pierce my ears, too. Really! [ uwaa. ] Oh. Victorian. That's where I'm from. Right now, [ for him, he means, ] Her Majesty, Queen Victoria is ruling over England. That's amazing! I'm so jealous! It would be so fun to live back then - everything was so elegant and fancy, and the clothes were so fabulous~ Super decadent! You're so lucky! [ he wants to smack her for being so stupid and so ignorant. 'fun to live back then,' she says. is starving fun? is scrounging fun? are plagues fun? is getting sold into slavery fun? a lot of memories come by, but all the while, he smiles a little too sweetly at her. I have little to compare it to, but I suppose it is rather elegant. Do you know Rococo? My mansion is styled like it. It's really beautiful.